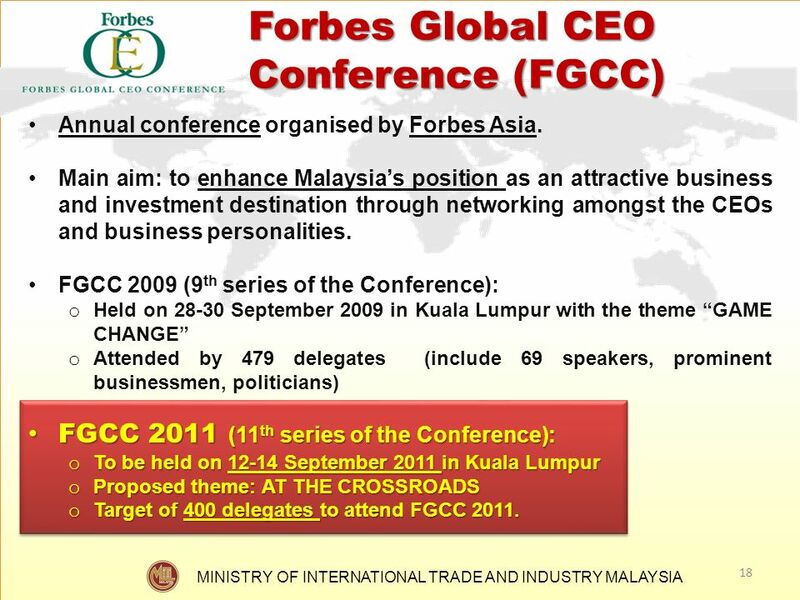 Annual conference organised by Forbes Asia. 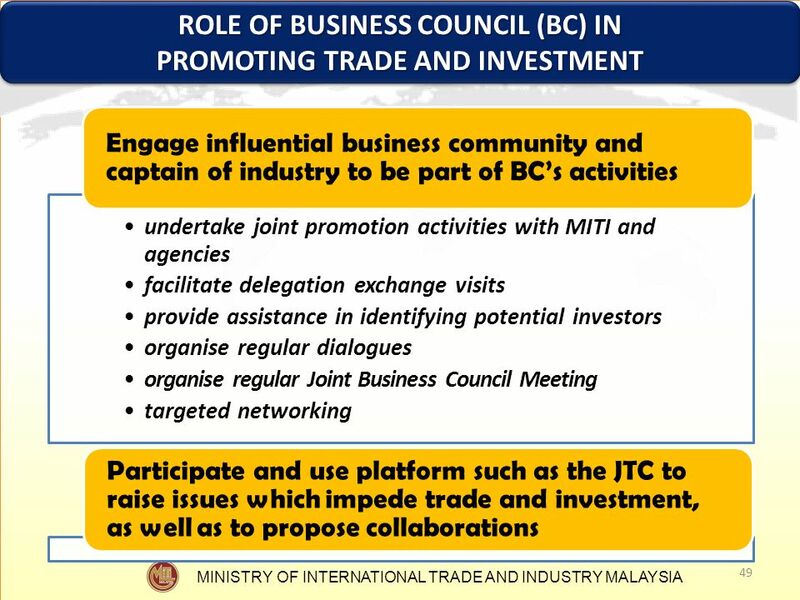 Main aim: to enhance Malaysia’s position as an attractive business and investment destination through networking amongst the CEOs and business personalities. 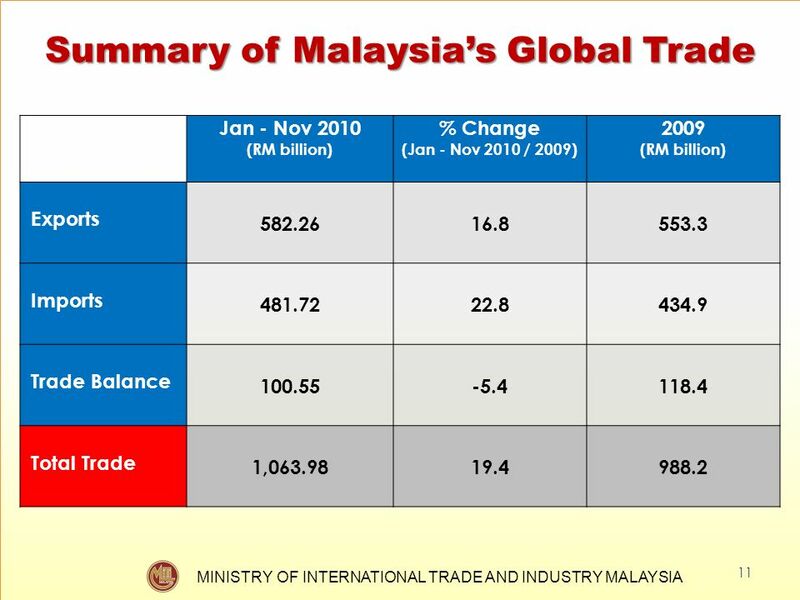 FGCC 2009 (9th series of the Conference): Held on September 2009 in Kuala Lumpur with the theme “GAME CHANGE” Attended by 479 delegates (include 69 speakers, prominent businessmen, politicians) FGCC 2011 (11th series of the Conference): To be held on September 2011 in Kuala Lumpur Proposed theme: AT THE CROSSROADS Target of 400 delegates to attend FGCC 2011. 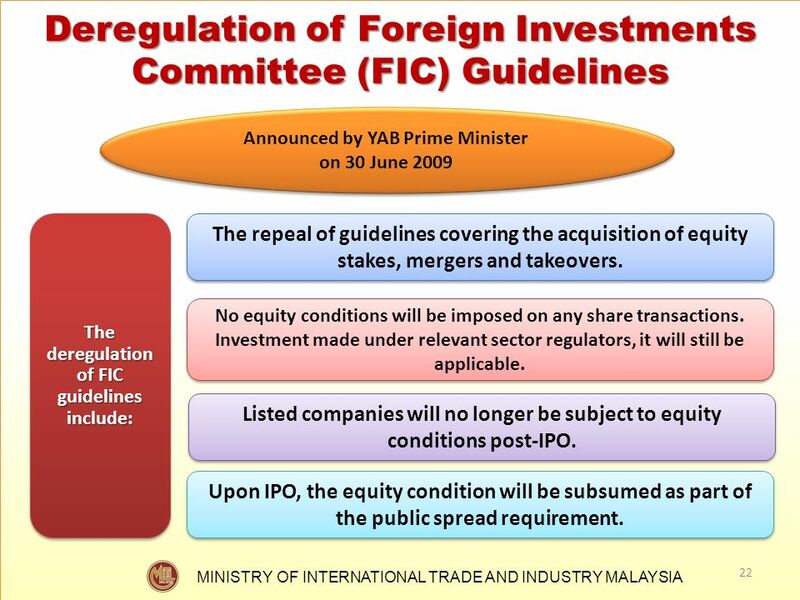 Announced by YAB Prime Minister on 30 June 2009 The deregulation of FIC guidelines include: The repeal of guidelines covering the acquisition of equity stakes, mergers and takeovers. 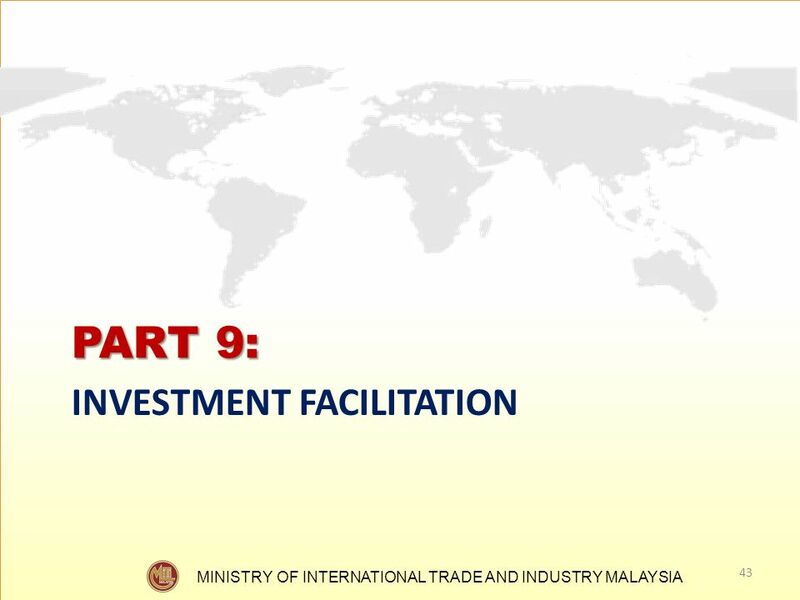 No equity conditions will be imposed on any share transactions. 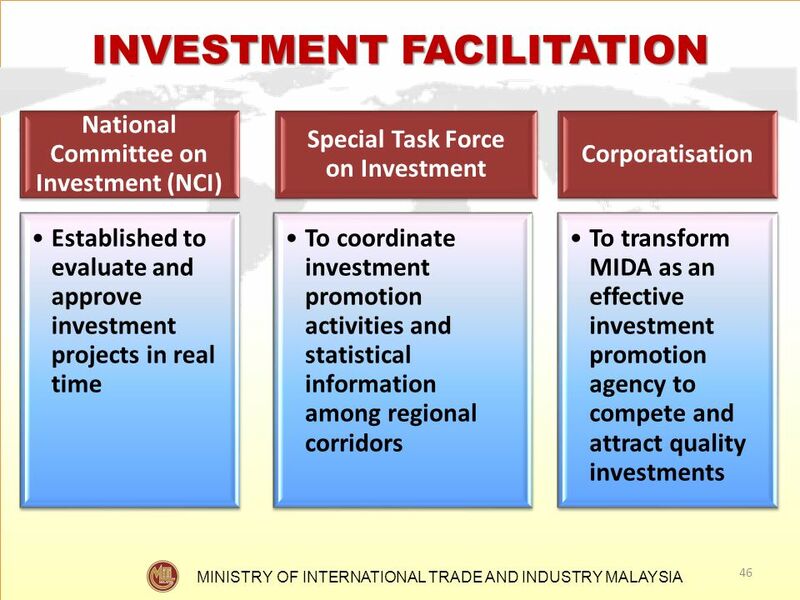 Investment made under relevant sector regulators, it will still be applicable. 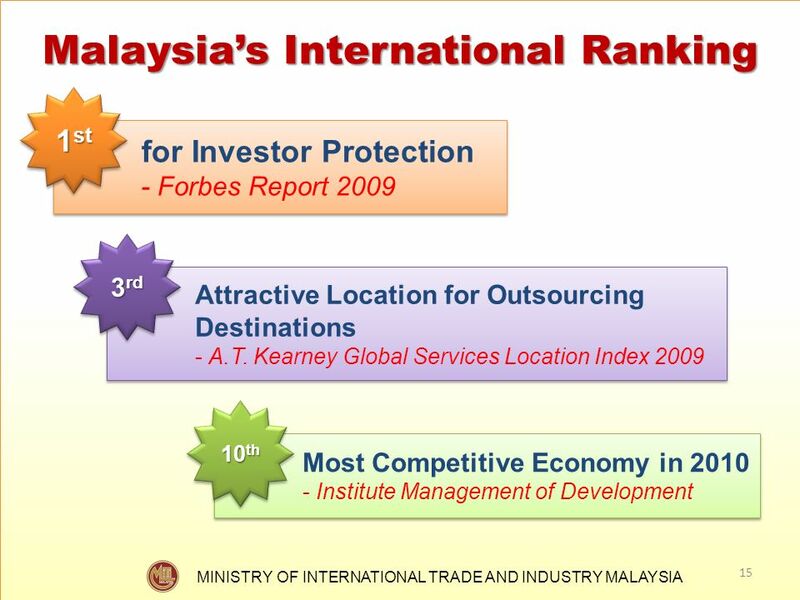 Listed companies will no longer be subject to equity conditions post-IPO. 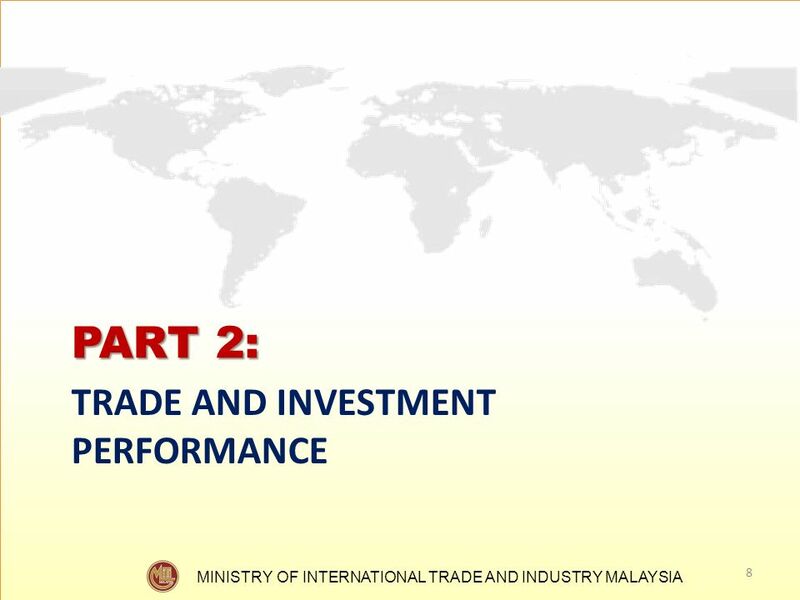 Upon IPO, the equity condition will be subsumed as part of the public spread requirement. 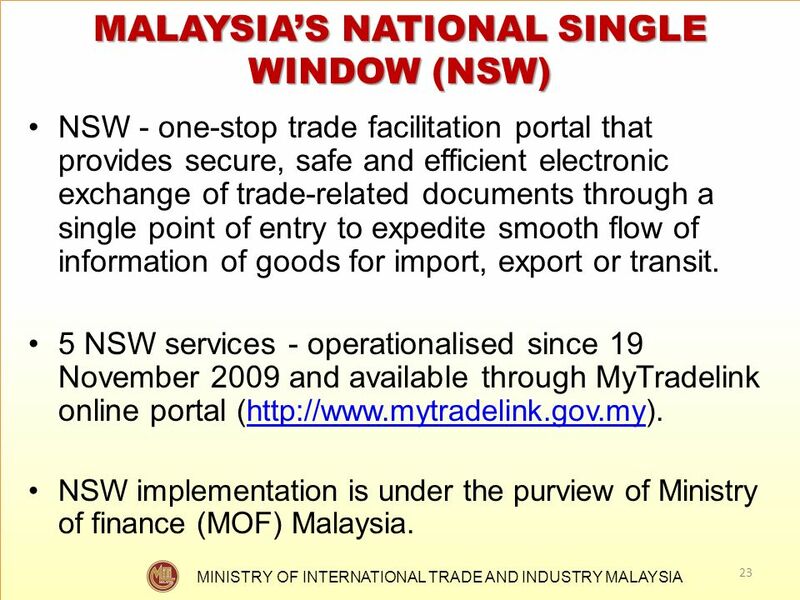 NSW - one-stop trade facilitation portal that provides secure, safe and efficient electronic exchange of trade-related documents through a single point of entry to expedite smooth flow of information of goods for import, export or transit. 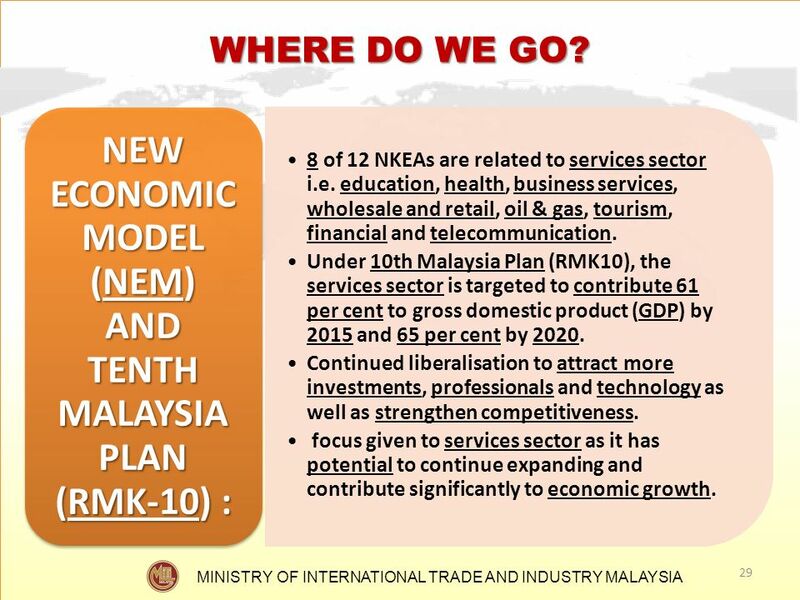 5 NSW services - operationalised since 19 November 2009 and available through MyTradelink online portal ( NSW implementation is under the purview of Ministry of finance (MOF) Malaysia. 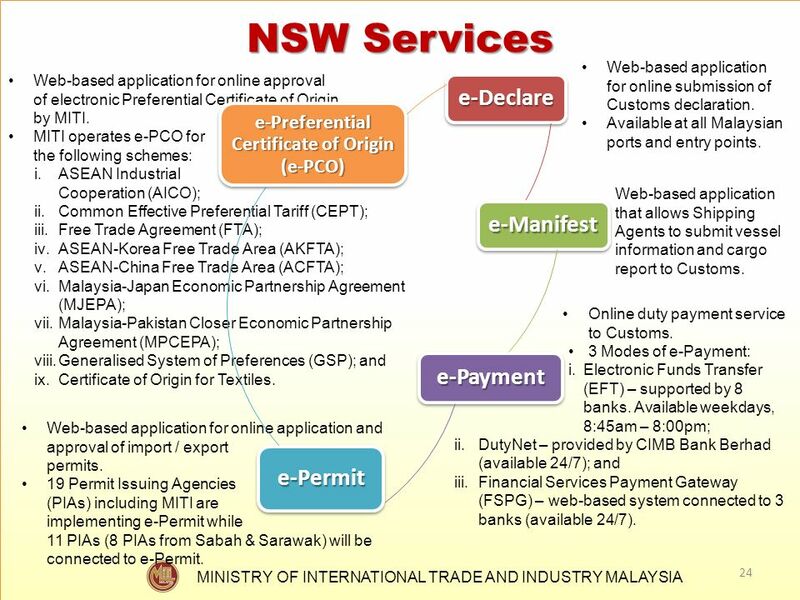 NSW Services Web-based application for online submission of Customs declaration. 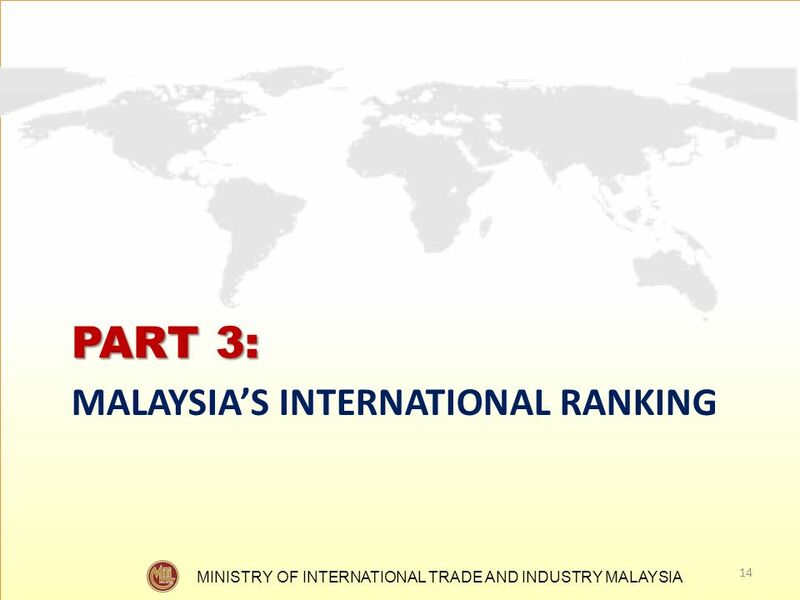 Available at all Malaysian ports and entry points. 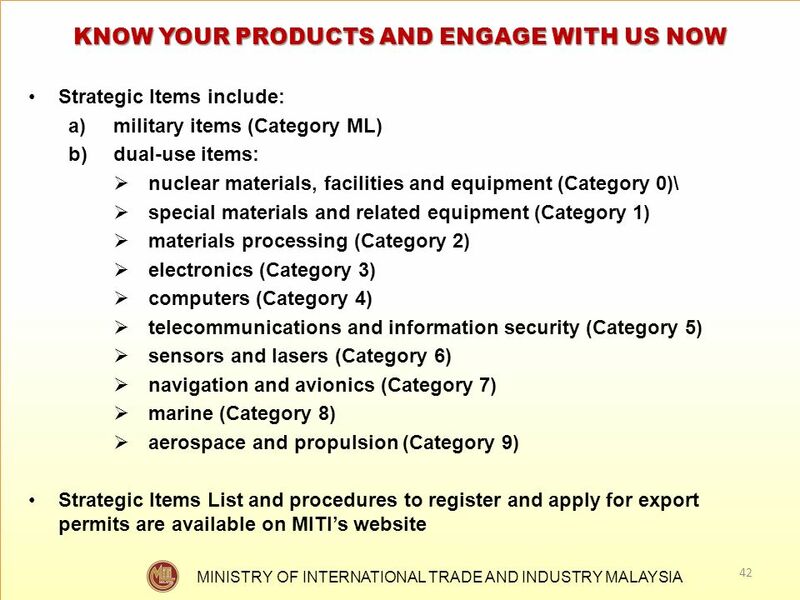 Web-based application for online approval of electronic Preferential Certificate of Origin by MITI. 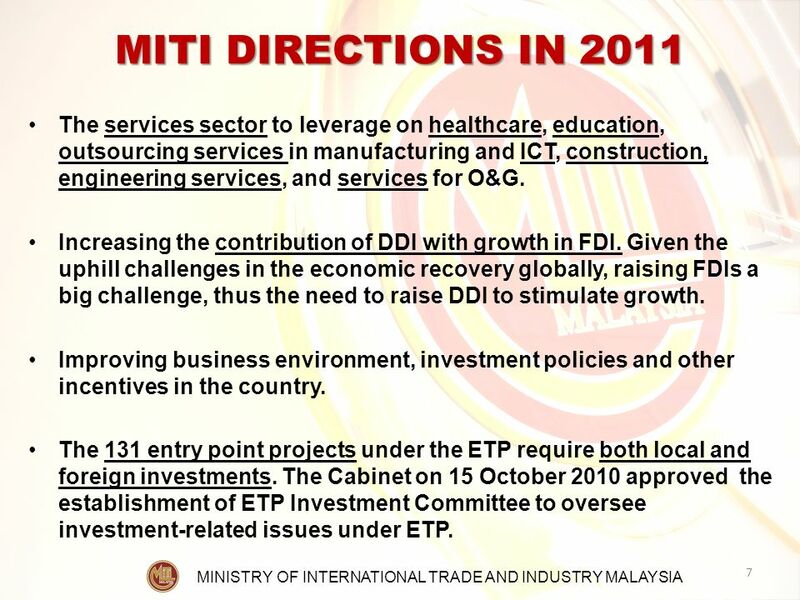 MITI operates e-PCO for the following schemes: ASEAN Industrial Cooperation (AICO); Common Effective Preferential Tariff (CEPT); Free Trade Agreement (FTA); ASEAN-Korea Free Trade Area (AKFTA); ASEAN-China Free Trade Area (ACFTA); Malaysia-Japan Economic Partnership Agreement (MJEPA); Malaysia-Pakistan Closer Economic Partnership Agreement (MPCEPA); Generalised System of Preferences (GSP); and Certificate of Origin for Textiles. 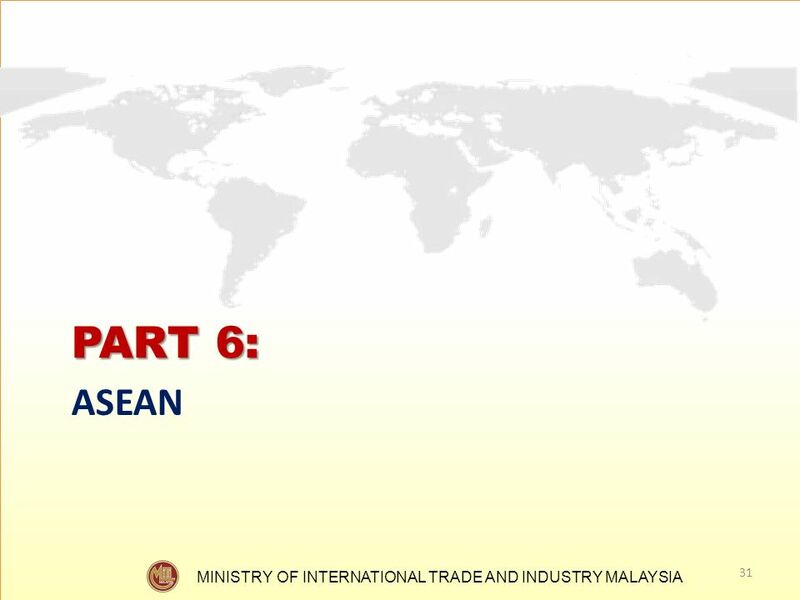 e-Declare e-Manifest e-Payment e-Permit e-Preferential Certificate of Origin (e-PCO) Web-based application that allows Shipping Agents to submit vessel information and cargo report to Customs. 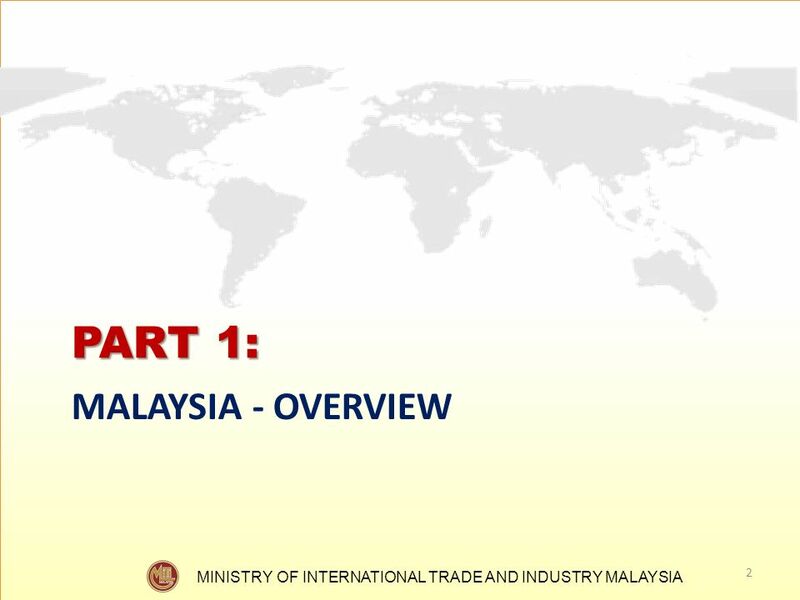 Online duty payment service to Customs. 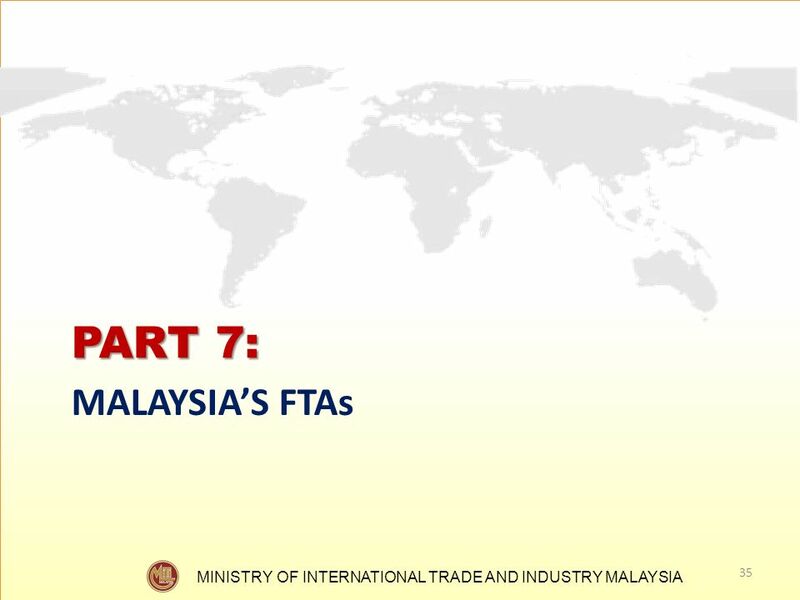 3 Modes of e-Payment: Electronic Funds Transfer (EFT) – supported by 8 banks. 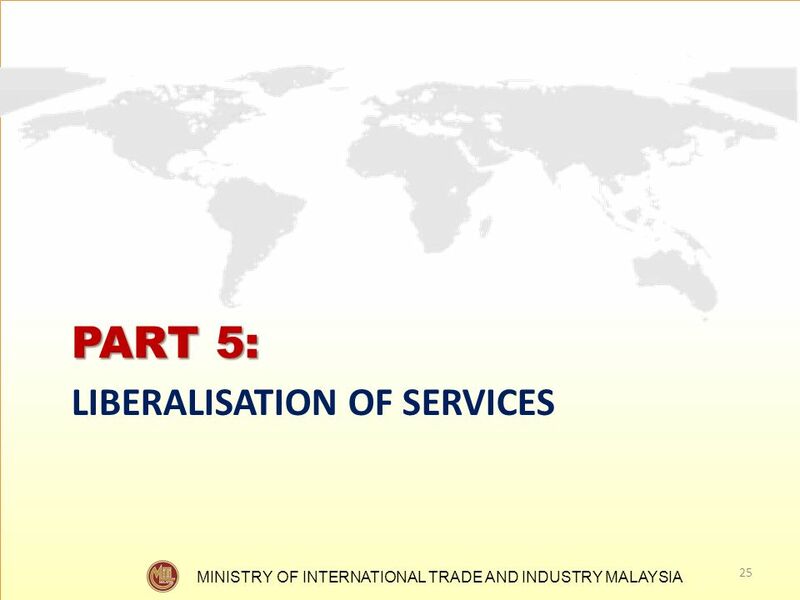 Available weekdays, 8:45am – 8:00pm; DutyNet – provided by CIMB Bank Berhad (available 24/7); and Financial Services Payment Gateway (FSPG) – web-based system connected to 3 banks (available 24/7). 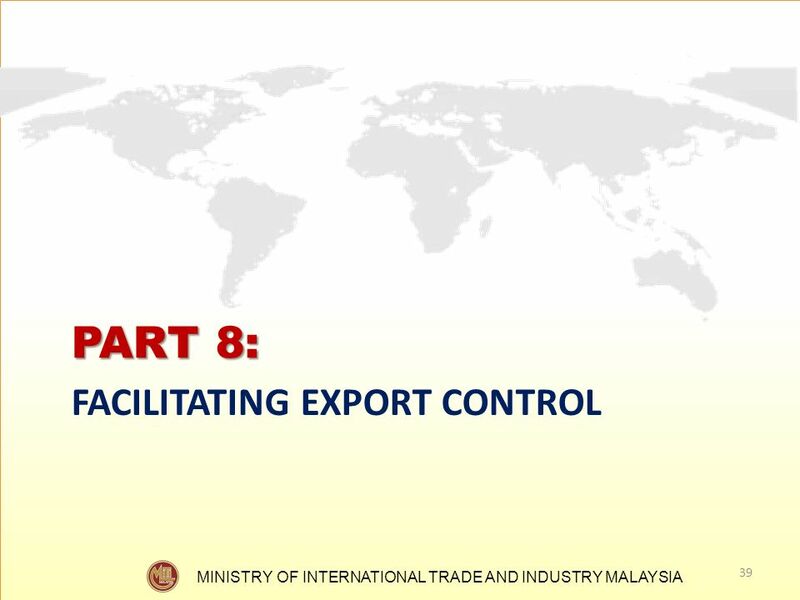 Web-based application for online application and approval of import / export permits. 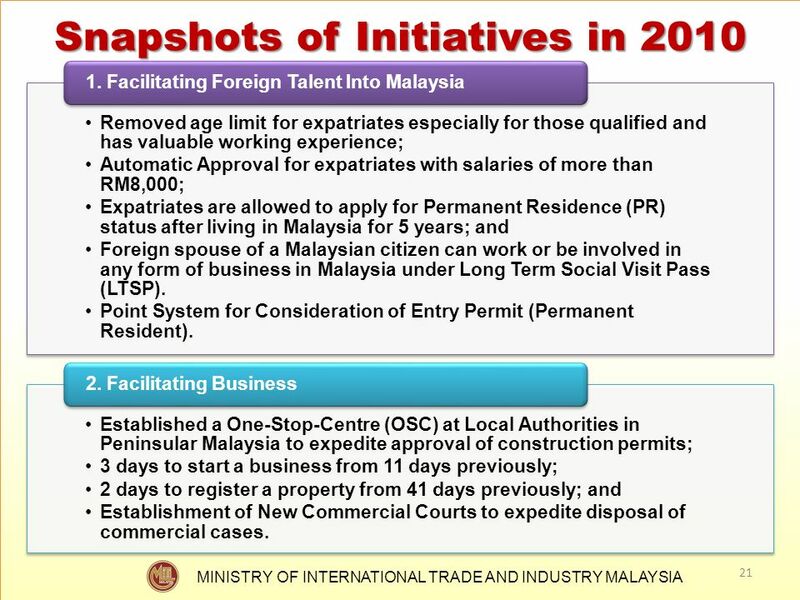 19 Permit Issuing Agencies (PIAs) including MITI are implementing e-Permit while 11 PIAs (8 PIAs from Sabah & Sarawak) will be connected to e-Permit. 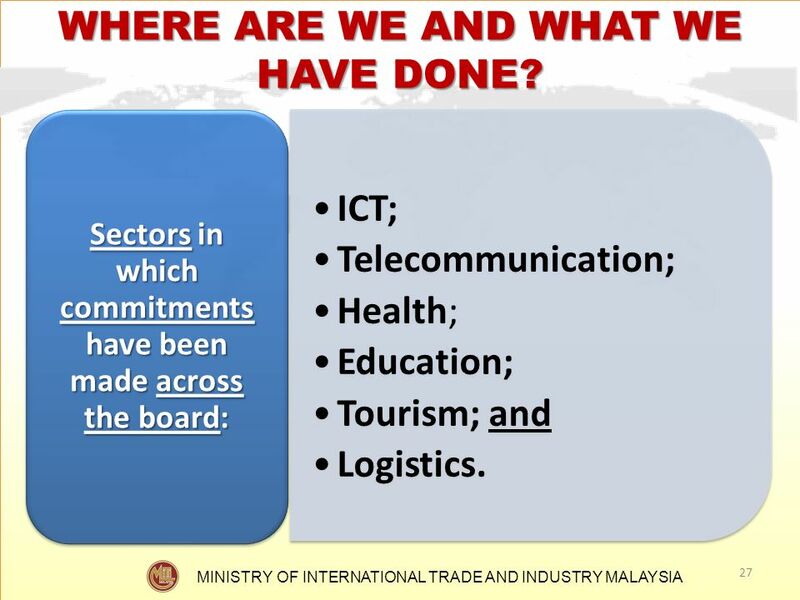 26 WHERE ARE WE AND WHAT WE HAVE DONE? 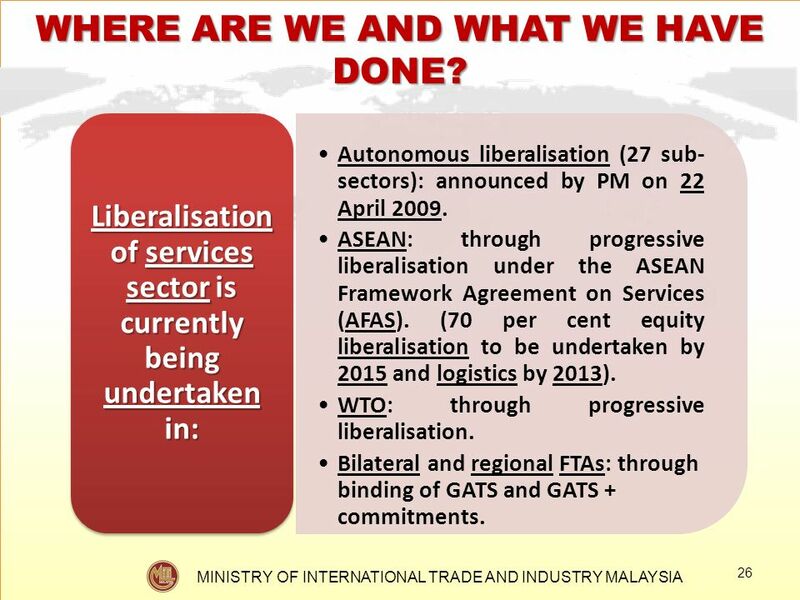 27 WHERE ARE WE AND WHAT WE HAVE DONE? 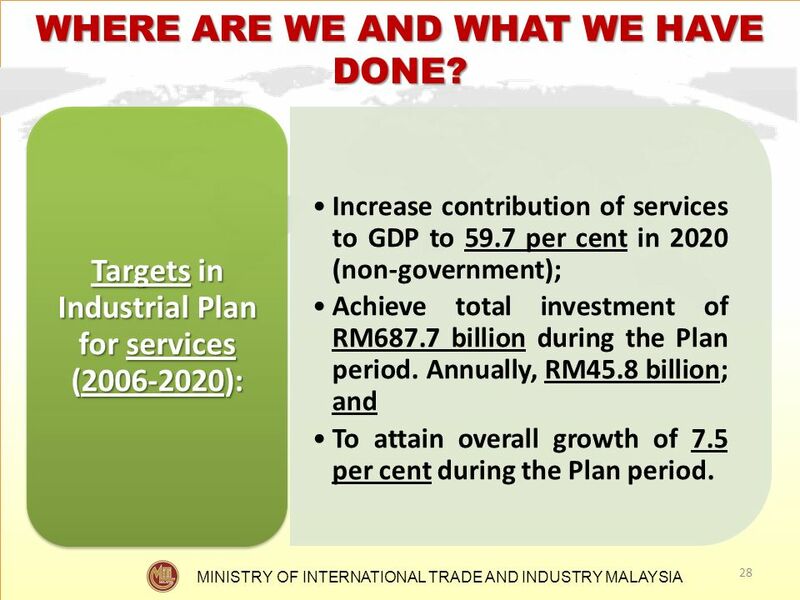 28 WHERE ARE WE AND WHAT WE HAVE DONE? 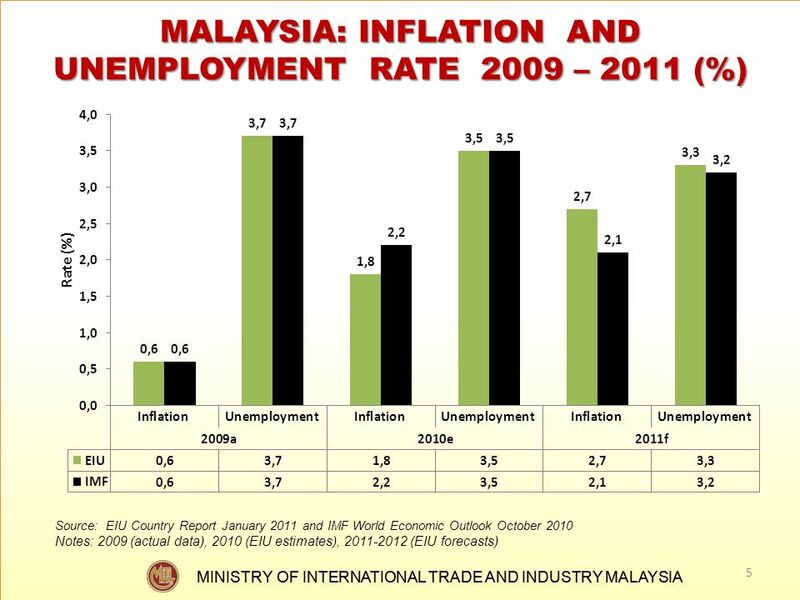 30 WHY? 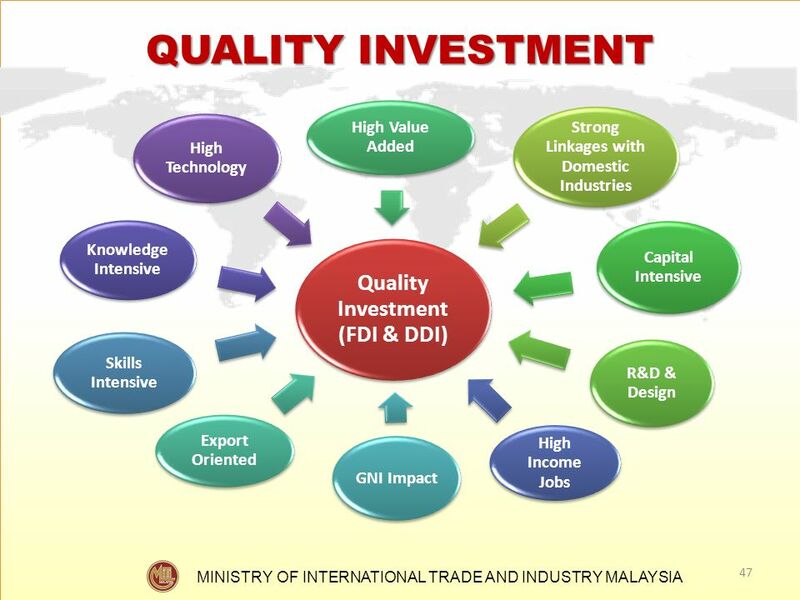 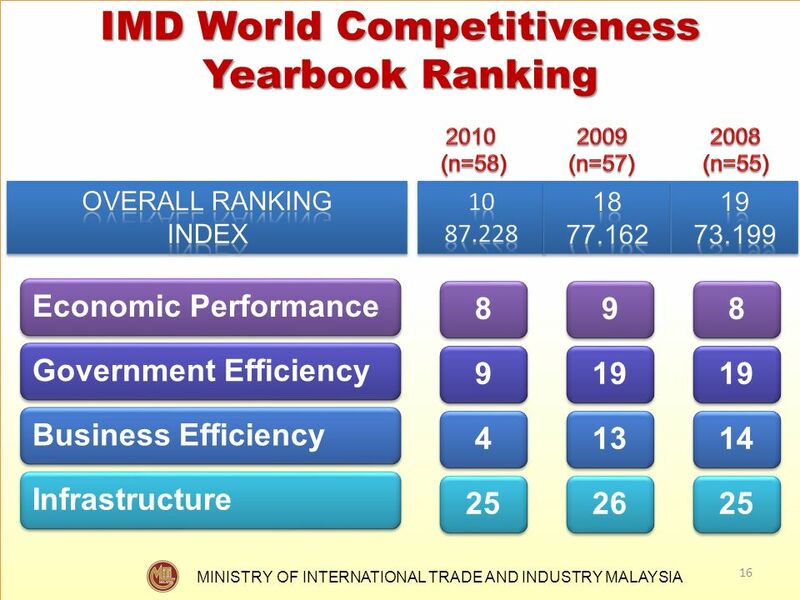 Structural changes needed to sustain development and economic growth; Private led initiatives to attract foreign investors; To increase productivity and to attract and retain talent, companies and capital; Developing small and medium enterprises (SMEs) as an engine of growth and innovation; and To compete globally. 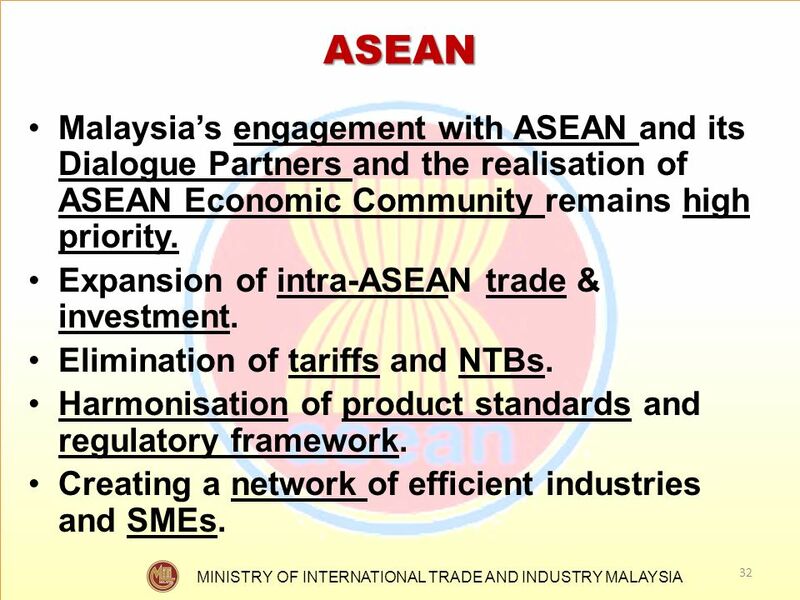 32 ASEAN Malaysia’s engagement with ASEAN and its Dialogue Partners and the realisation of ASEAN Economic Community remains high priority. 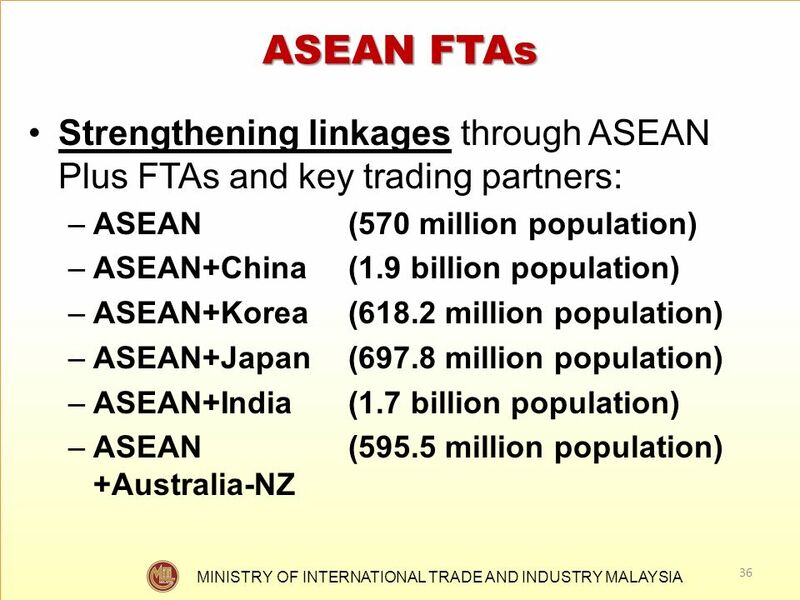 Expansion of intra-ASEAN trade & investment. 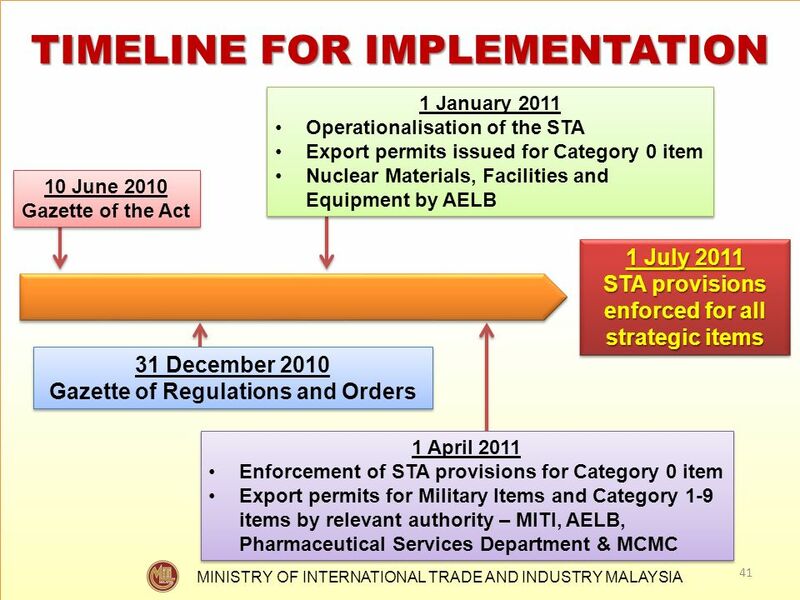 Elimination of tariffs and NTBs. 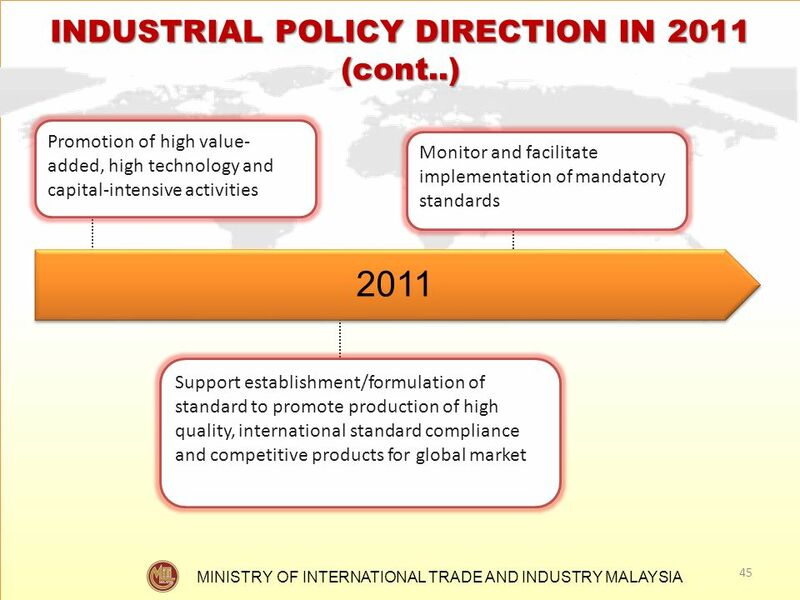 Harmonisation of product standards and regulatory framework. 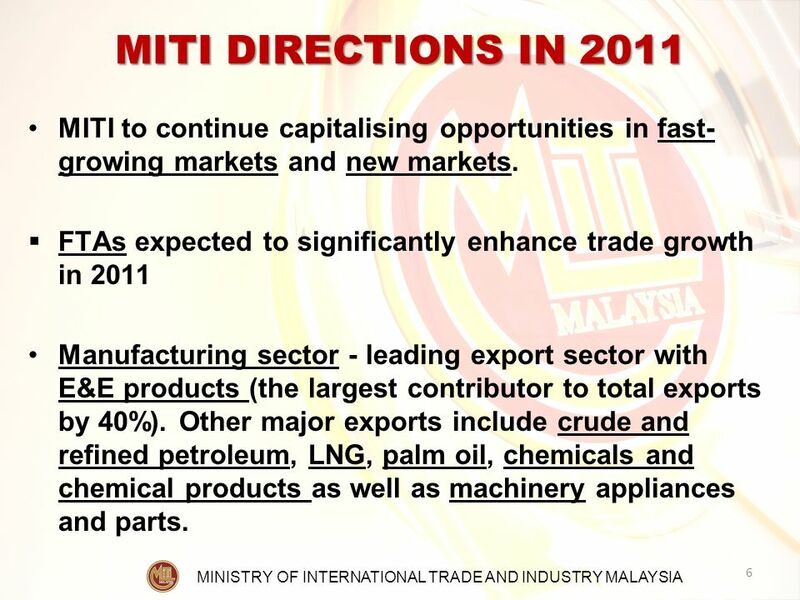 Creating a network of efficient industries and SMEs. 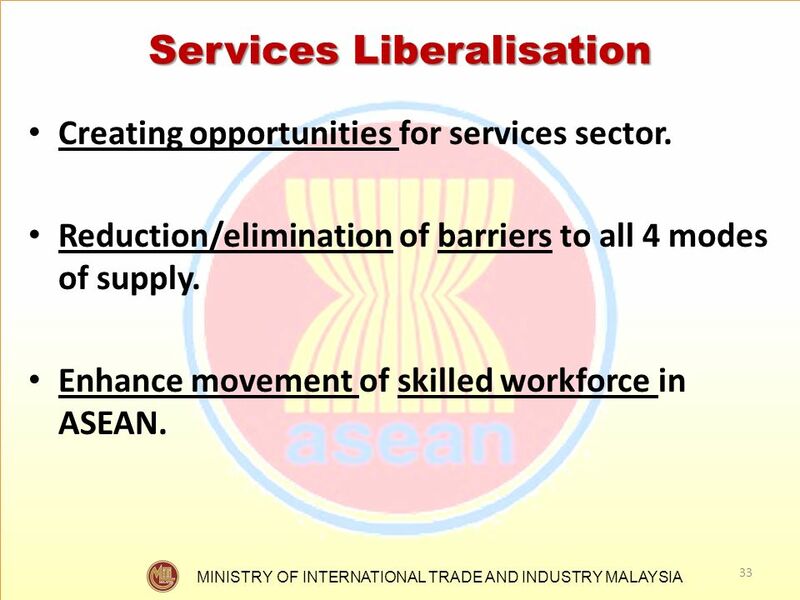 Creating opportunities for services sector. 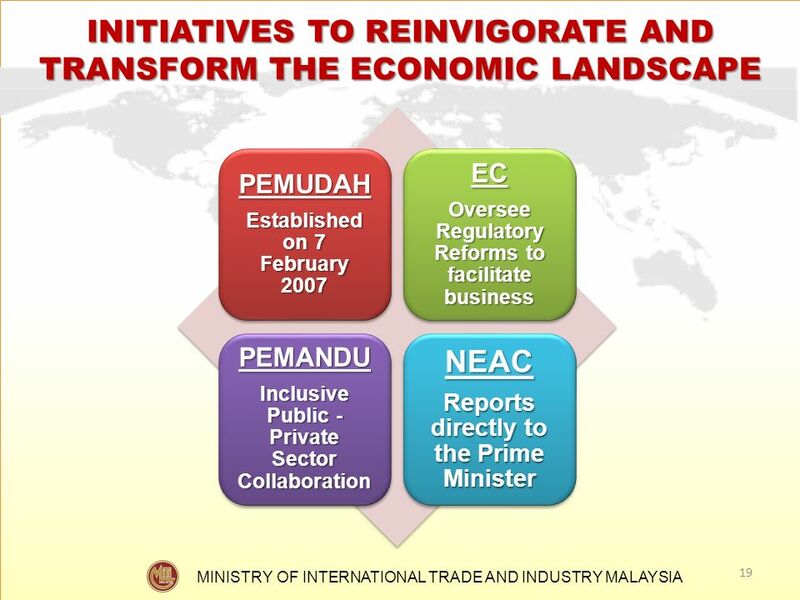 Reduction/elimination of barriers to all 4 modes of supply. 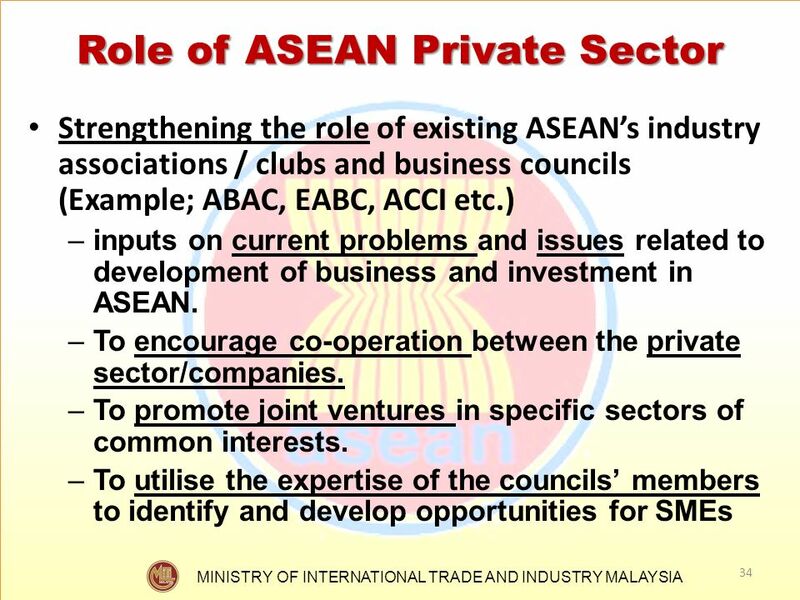 Enhance movement of skilled workforce in ASEAN. 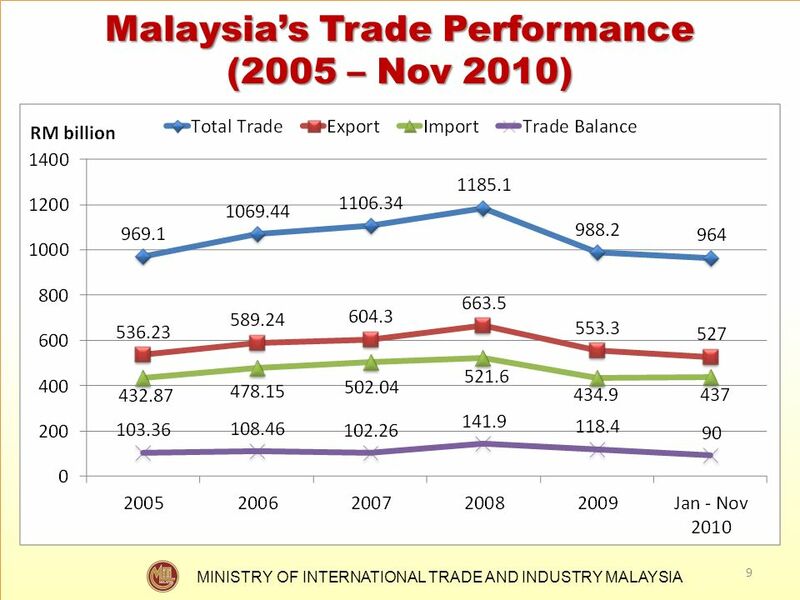 Malaysia started recording trade surplus with Japan since 2009, reversing the trade imbalance trend. 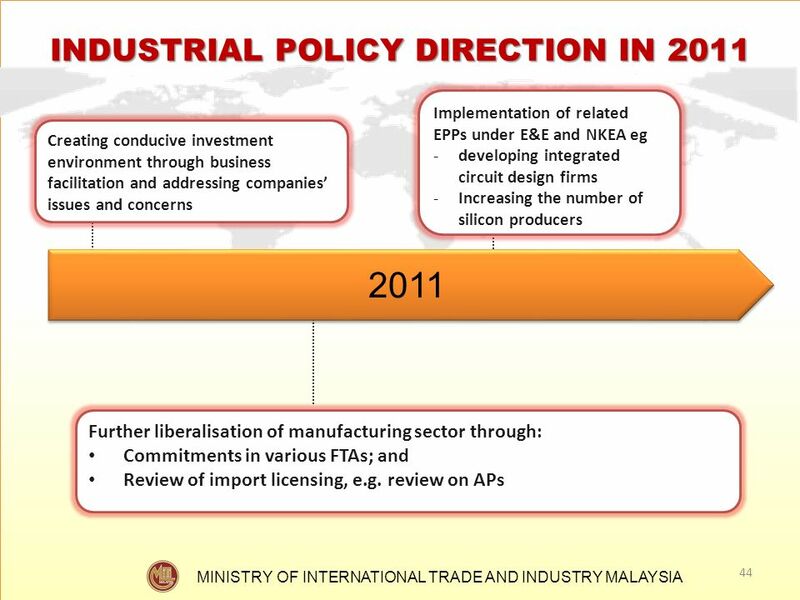 A result of the implementation of MJEPA and AJCEP. 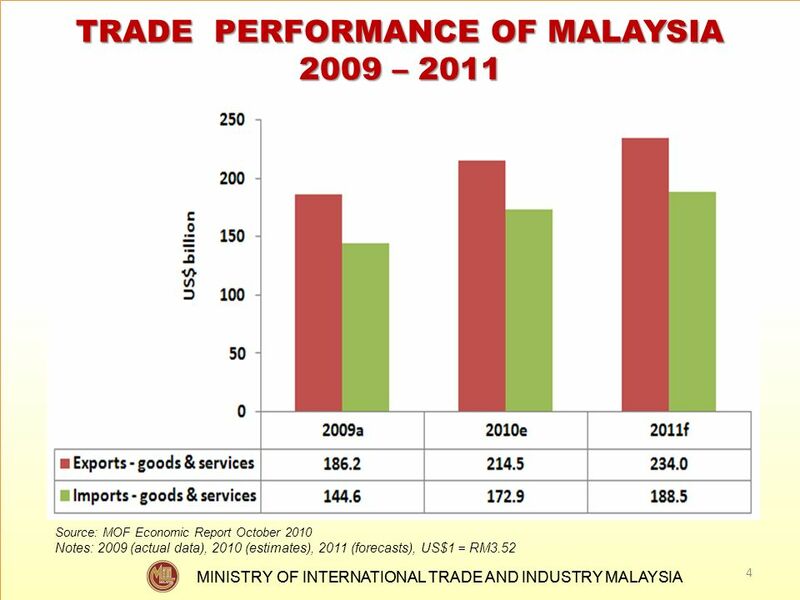 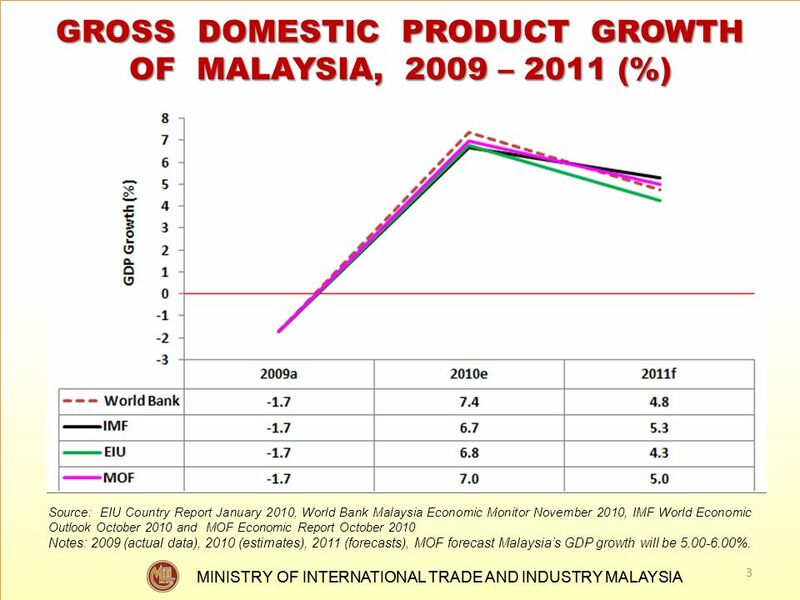 In 2010, Malaysia recorded a trade surplus with China for the first time since the implementation of the ACFTA. 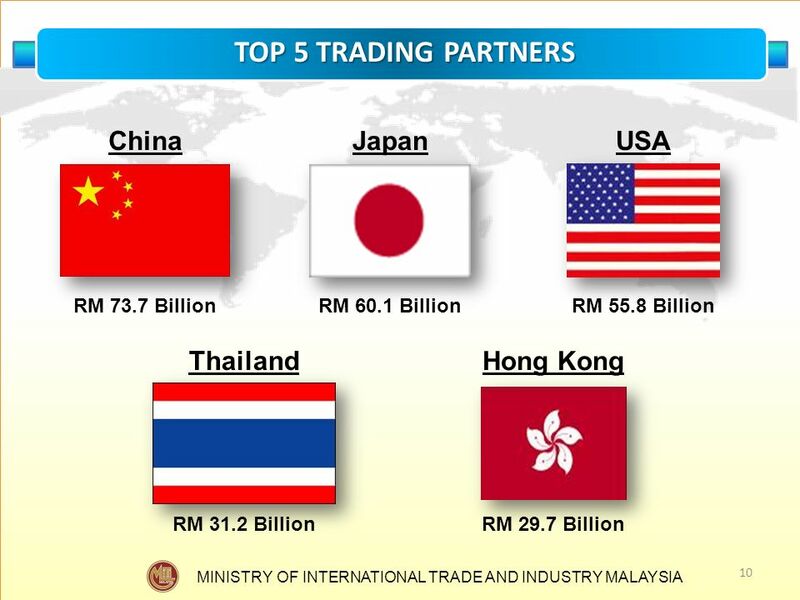 Significant increase in trade with non-traditional trading partners i.e. 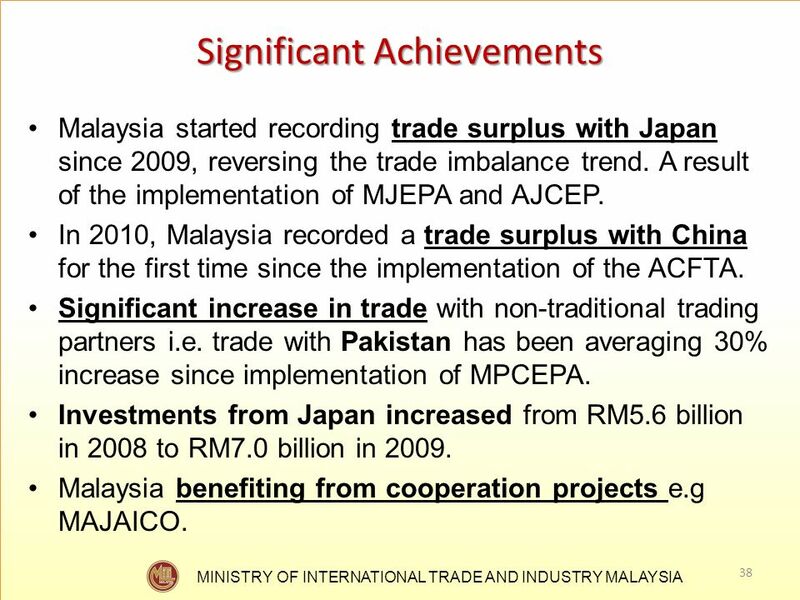 trade with Pakistan has been averaging 30% increase since implementation of MPCEPA. 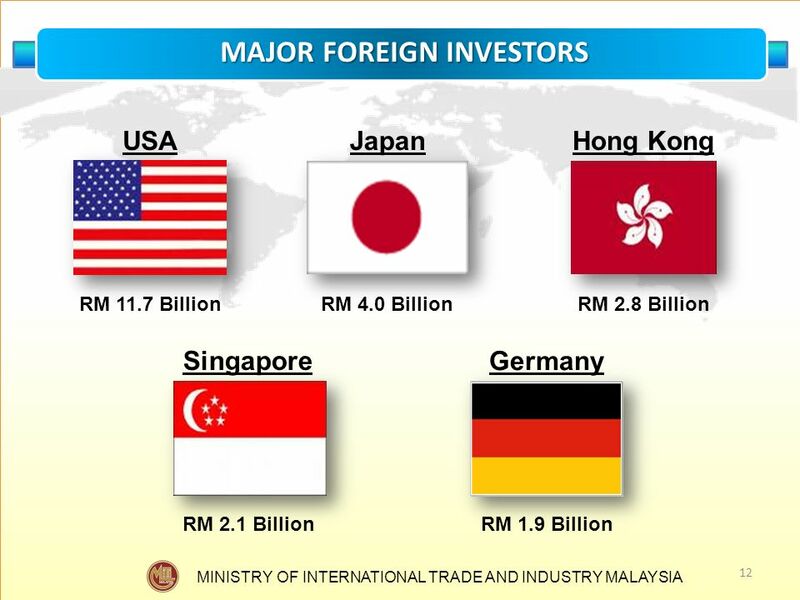 Investments from Japan increased from RM5.6 billion in 2008 to RM7.0 billion in 2009. 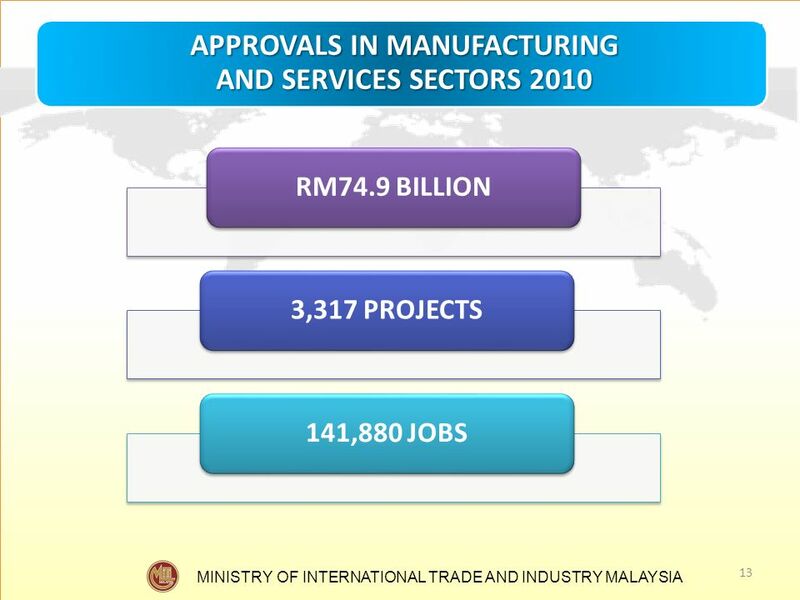 Malaysia benefiting from cooperation projects e.g MAJAICO. 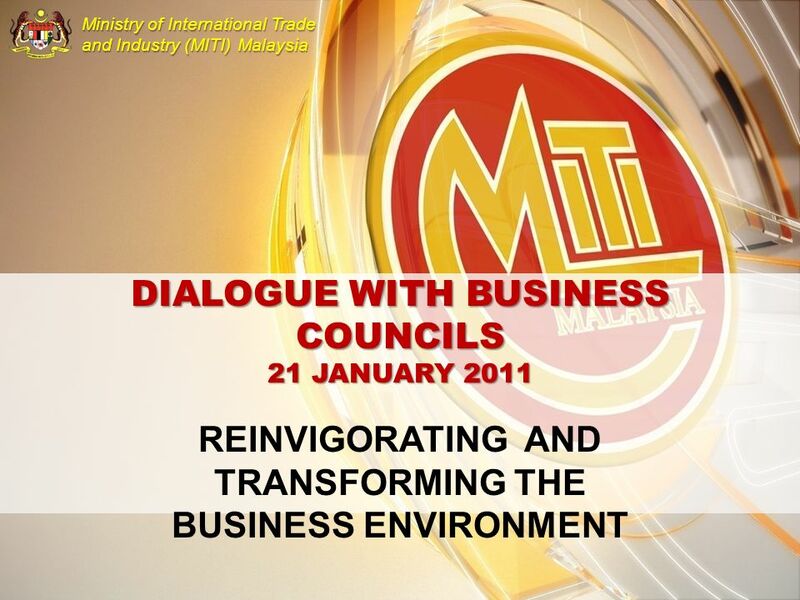 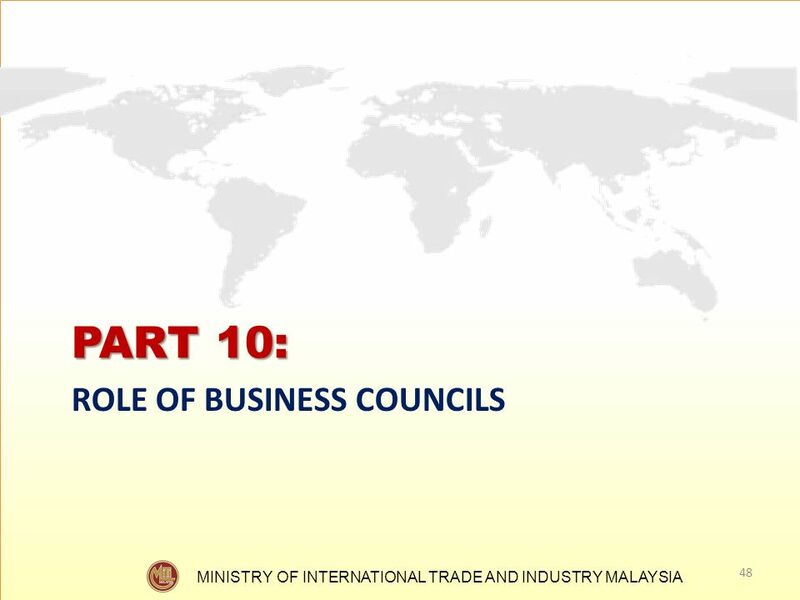 Download ppt "DIALOGUE WITH BUSINESS COUNCILS 21 JANUARY 2011"
MALAYSIA YOUR BUSINESS PARTNER Roma 29 May 2013 DOING BUSINESS WITH MALAYSIA Rome May 30, 2013. 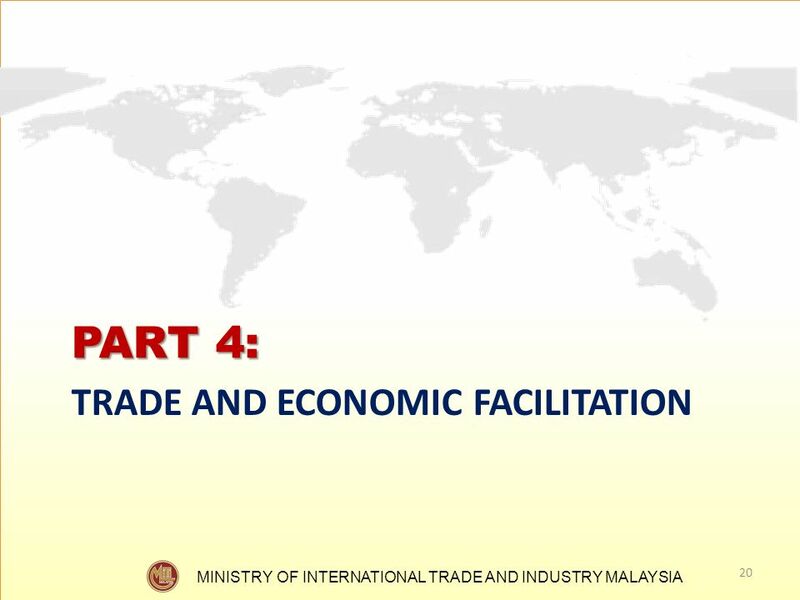 Reasons for Discrepancies in Chinas External Trade Statistics with partners: the Particular Role of Processing Trade By Hongman JIN Statistics Department. 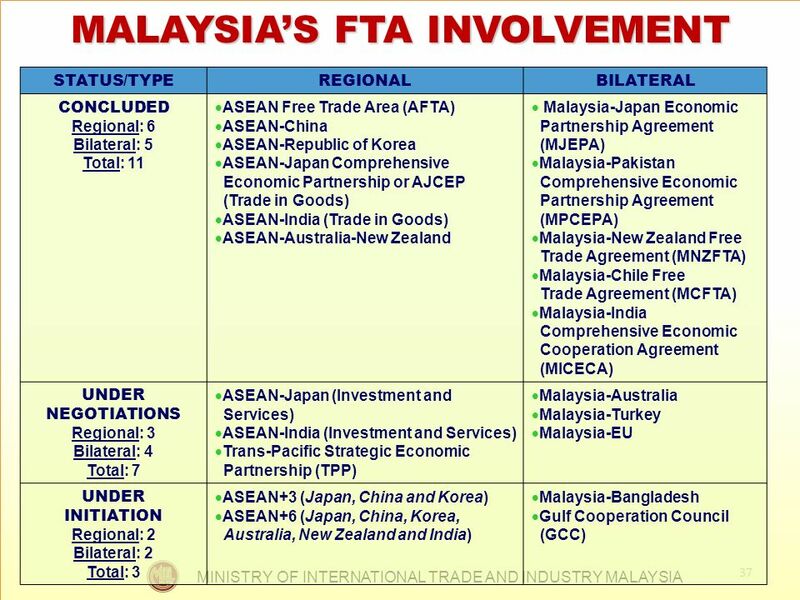 Global Value Chain in East Asia Michitaka Nakatomi President Japan External Trade Organization(JETRO) 1. 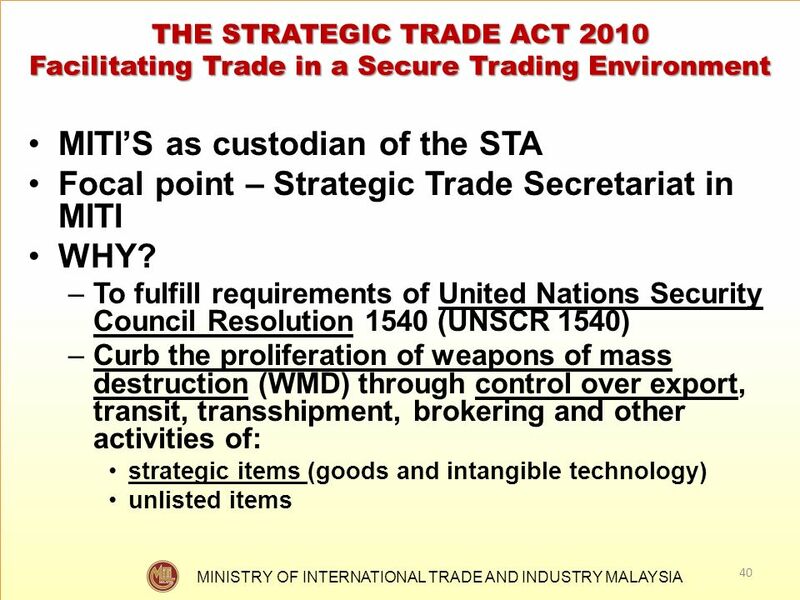 1 Market Access: Whats At Stake Christopher A. Padilla Co-Chair, WTO Working Group National Foreign Trade Council (U.S.) April 2002 Christopher A. Padilla. 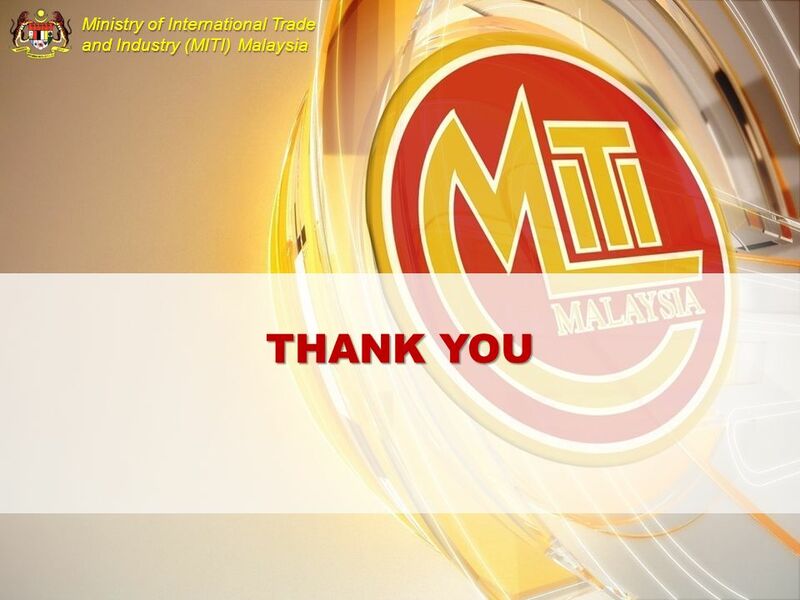 Anti-SPAM activities in Malaysia - Current Situation, Regulatory Environment and Future Developments ITU virtual conference on anti-spam regulation and. 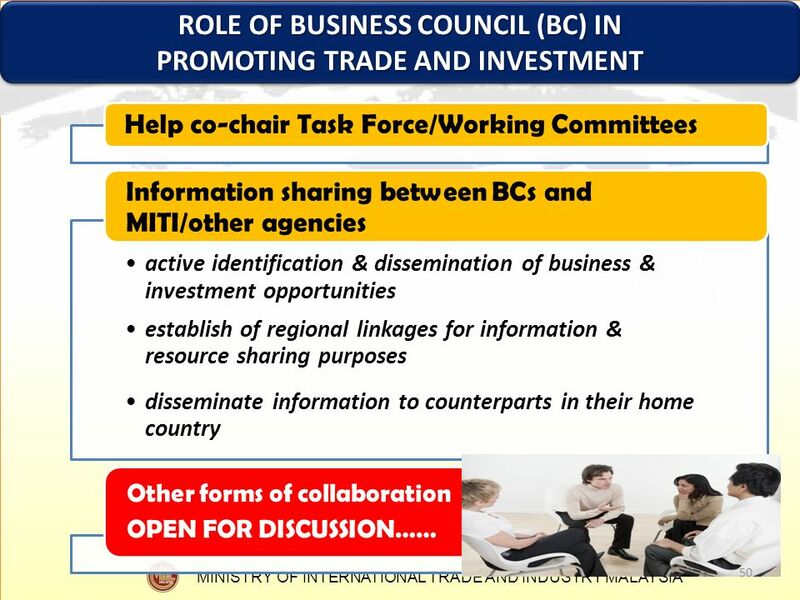 Innovation and Technology Transfer Innovation and Technology Transfer LIU Jian International Cooperation Department The State Intellectual Property Office. 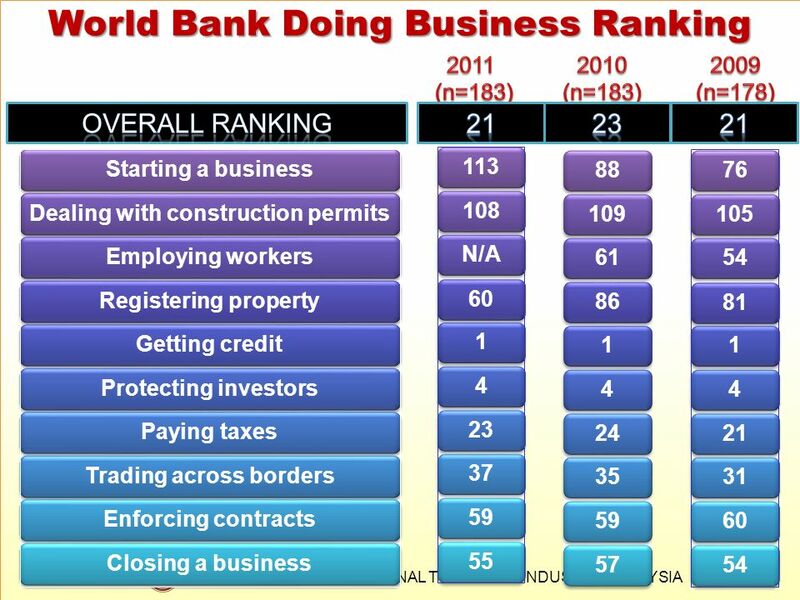 J.P.Morgan Chase S T R I C T L Y P R I V A T E A N D C O N F I D E N T I A L Crisis Response: Crisis Response: Different Aspects Different Aspects Dr.